In our driverless future, I see the potential for zero accidents and mobility for all. A future in which we count millions of lives saved around the world, simply because drivers have been taken out of the transportation equation. A time when our world is filled with self-driving cars that, according to Morgan Stanley, will deliver some $507 billion in productivity gains annually. These and other potential benefits from automated driving are indeed exciting but will take the full depth and breadth of Intel’s portfolio and expertise to make reality – work that Intel employees and partners around the world have embraced wholeheartedly. Today we shift our efforts into high gear with the introduction of Intel® GO™, a new brand for our automotive solutions spanning car, connectivity and cloud. New with the Intel GO brand are multiple development kits that scale in performance from our next-generation Intel® Atom™ processor to Intel® Xeon® processors, as well as the industry’s first 5G-ready development platform for automated driving. Two versions of Intel® GO™ In-Vehicle Development Platforms for Automated Driving, delivering unmatched scalability and power-performance optimization. 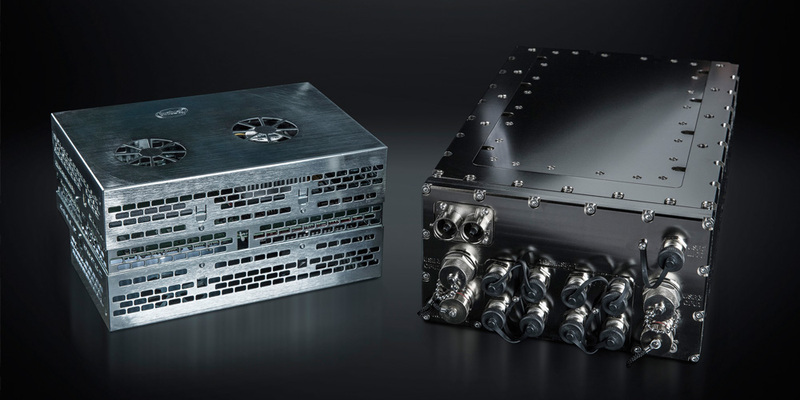 Scaling from next-gen Intel Atom processors to high-performance Intel Xeon processors plus Arria® 10 FPGAs, these two platforms provide the computing horsepower to perform a range of automated driving functions including perception, fusion and decision-making. 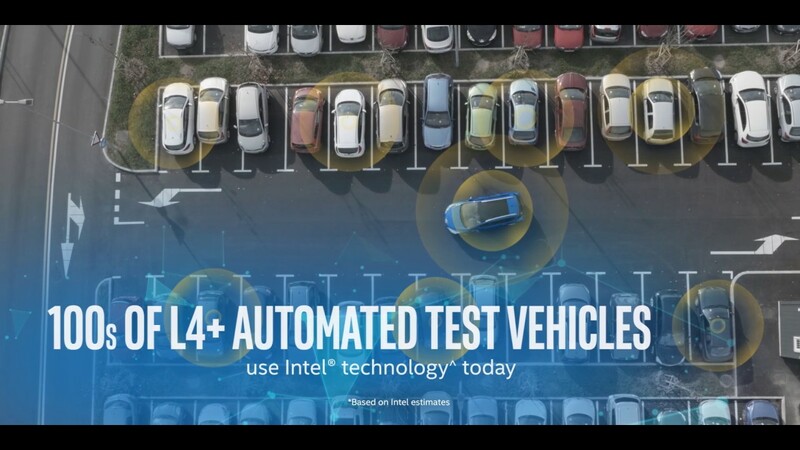 Intel® GO™ Automotive 5G Platform offers the industry’s first 5G-ready platform for the automotive segment allowing automakers to develop and test a wide range of use cases and applications ahead of the expected rollout of 5G in 2020. Intel® GO™ Automotive SDK provides several important tools specific to the automated driving industry – including deep learning tool kits – and offers a consistent development experience to help engineers maximize hardware capabilities while speeding the pace of design. The introduction of our Intel GO system extends the invaluable investment we have made in the automotive sector for years. Our rich automotive heritage includes 49 car wins with more than 30 Intel-based vehicle models on the road today. What’s probably not as well-known is the fact that Intel is in hundreds of autonomous test cars on the road today. Industry leaders like BMW, Delphi and Baidu have all announced plans to use Intel technology in their autonomous vehicles. In fact, BMW together with Intel and Mobileye announced today that a fleet of approximately 40 autonomous BMW cars – with Intel GO solutions inside – will be on the road by the end of 2017. 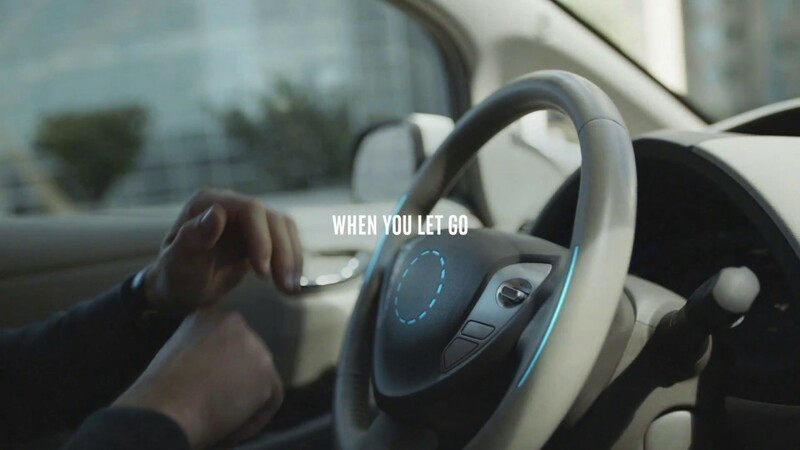 Now with Intel GO platforms, carmakers and their suppliers will have the tools they need to more easily develop driverless cars that will be ready for future technologies like 5G. The importance of 5G to our self-driving future cannot be overstated. Automated vehicles will both generate and take in huge amounts of data in order to navigate and react to sudden changes. Today’s communications systems simply were not designed to handle the massive bandwidth required to support this. 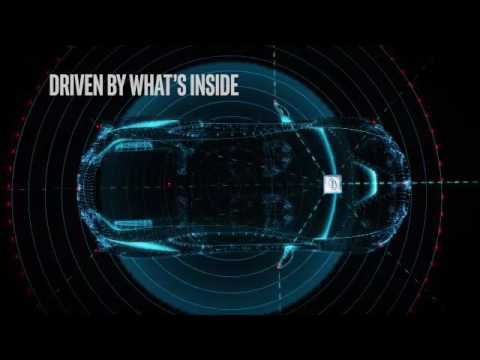 That’s where 5G comes in, delivering faster speeds, ultra-low latency and vehicle-to-vehicle (V2V) connectivity for the era of automated driving. Because 5G is so important to the realization of our driverless future, today we are announcing a new Intel® 5G Modem – the world’s first global 5G modem supporting both sub-6 GHz bands and mmWave spectrum. This modem includes a compact, low-power chip kit and delivers speeds expected to exceed 5 Gbps and ultra-low latency to enable self-driving cars to make split-second decisions. Of course, fully autonomous driving will never come to fruition without the data center, where all development for automated driving begins. This is the only place that can handle the immense computational power to create, simulate and train the self-driving algorithms. Huge amounts of sensor data has to be stored, and machine learning and deep learning algorithms are developed, simulated, tested and optimized for deployment to the vehicles. Our Intel Xeon and Intel® Xeon Phi™ processors power more than 97 percent of the servers deployed for machine learning workloads, which brings the added benefit of giving developers a common and consistent programming model between their development environment and their training and inference (scoring) environment. 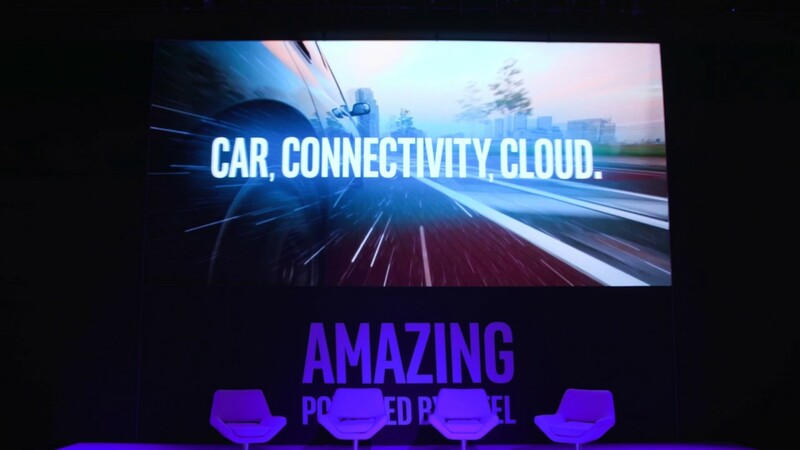 Using Intel architecture for solutions across the entire automated driving spectrum – car, connectivity and cloud – ensures this common and consistent platform. Remember, today you buy a car and it is essentially static. But in the future your self-driving vehicle will continuously update itself because of the cloud. 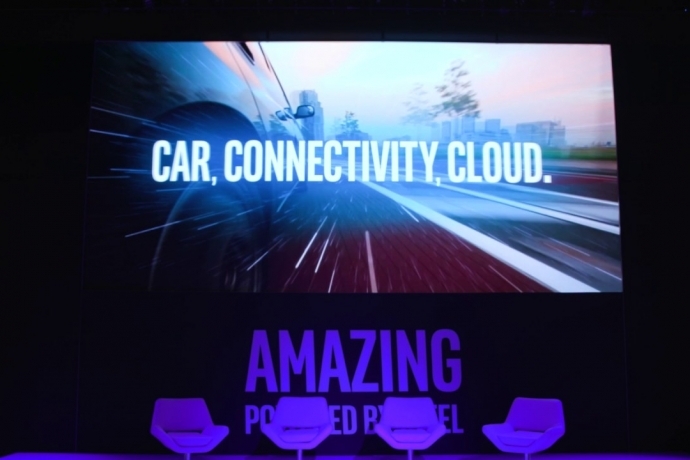 With these new development tools spanning car, connectivity and cloud, Intel officially enters the fast lane toward a driverless future. 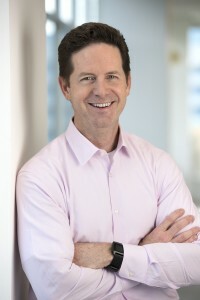 We have a rich heritage and deep expertise in all aspects of the automated driving experience, including high-performance, in-vehicle computing; robust cloud and machine-learning solutions; plus high-speed wireless connectivity – all of which makes Intel uniquely suited to deliver the computing “brains” to the automated driving sector. To say I am passionate about the prospects for a fully autonomous automotive industry is an understatement. I can’t imagine a more transformative time for transportation in my lifetime, and to be at the heart of it is downright thrilling. Automated driving will revolutionize personal transportation in ways we can only imagine. But I fully expect to see this transformation within my lifetime. Don’t you?